The auto mechanics at Bimmer Rescue provide auto repair to drivers throughout Richmond, Short Pump, the West End, and the Fan District. We specialize in certain German brands, including BMW, Audi, and MINI, so we can provide you with personalized, transparent, and thorough service. For more information about the makes we service, keep reading below. BMWs are extraordinary vehicles that are, in our opinion, the perfect balance between luxury and performance. Did you know BMW began almost 100 years ago manufacturing aircraft engines? The slang term for a BMW car is “Bimmer” and the slang for a BMW Motorcycle is “Beamer." BMW manufactures the 1 series, 2 series, 3 series, 4 series, 5 series, 6 series, 7 series, 8 series, many with Xdrive all-wheel drive. They also make the X5, X3 and X6 and performance versions: the M1, M2, M3, M4, M5 and M6. MINIs have been around since the 60s. They were originally a British car. We generally find that if someone owns a MINI, they LOVE their MINI! Did you know that if you see another MINI on the road you are supposed to wave at them? It is also tradition to always park your MINI near others in a parking lot. MINIs are very fun to drive since they are tight, low and powerful. BMW purchased MINI and began manufacturing them in 2000. 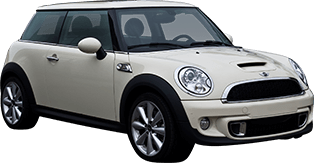 Since then, their lineup has grown to include the MINI Cooper, MINI Cooper S, MINI Cooper Clubman, MINI Cooper Countryman, MINI Cooper Paceman, MINI Cooper Coupe, MINI Cooper Convertible and MINI Cooper Hardtop. Did you know that Audi is actually pronounced “ow” (like you bumped you knee) “dee?" The company was founded by August Horch in 1909 and his last name translated to Latin is Audi. Audi merged into VW in the late sixties and ever since then they have been one of the best-selling luxury automobiles in the world. Modern Audis include the A4, A3, A6, A8, A5, TT, R8, Q3, Q7, Q5, A7, S4, S6, S5, RS, and S7, many with all-road versions. Audis are not only amazing to drive but their distinctive look makes them stand out in a good way!